It’s here. Summer. Hot’n gorgeous. Free and fabulous. Abundant and adventurous. How do I know? We become gypsies – Even if we live just by the shore, whenever the Swedishified heatwaves enter we get super adventurous (and a bit restless) and hop between houses, family and friends a couple of times a week. California baby! 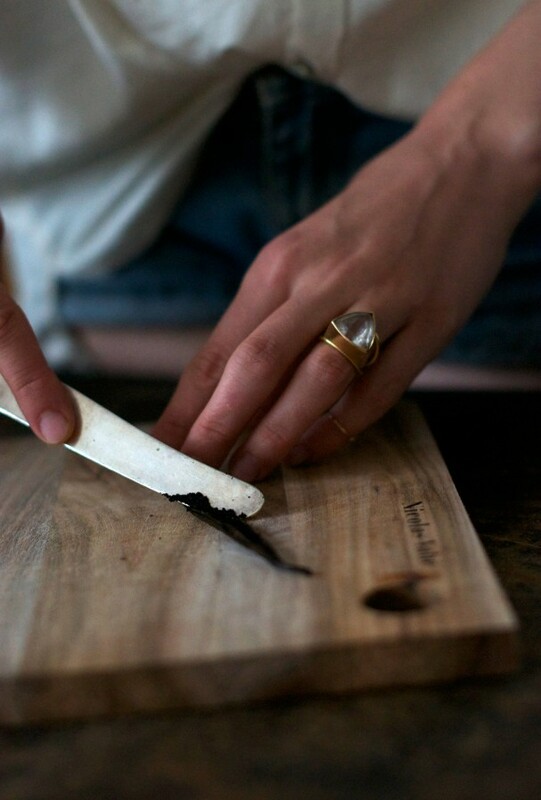 – We’re on full Cali planning mode and super excited to dive into another part of mama earth starting September. We’ll begin our adventure by spending a few weeks in San Fransisco to land a bit in vacation mode and then we’ll hit the road (the campervan is booked! Bahaha.. ). The idea is to first and foremost follow the flow and go with our inner gps systems. That said we’re thinking we’ll head north of Sf for a while, then down south through the national parks, hot springs, hidden gems (any tips?) and nice towns. We’ll go a bit south of LA and then lastly fly back to Sweden from LA. I can’t wait to fall even more in love with the world and my two boys. My bare feet long to feel the earth beneath grand redwood trees, the deserts of Joshua Tree and get to know new trails. The Magical Mangalam week – The annual week with the yoga/bali family on Mangalam yoga centre (where I’ve done many a cook-athons) is behind us. 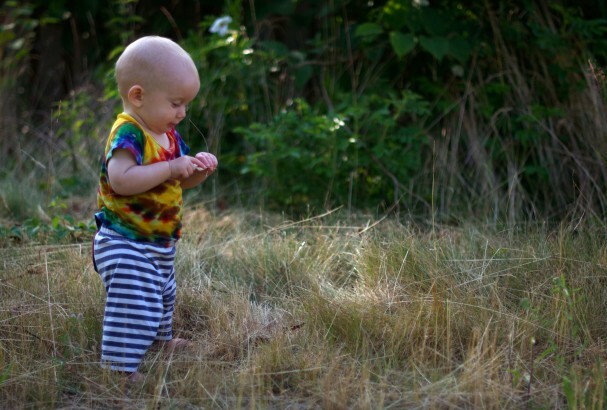 After many days of sparked remembrance from all the groovy vibes, vedanta teachings, music and fun times, we’re even more filled with love and energy then we were before. Fabian and I took turns participating and playing with Caspian and all three of us had a blast. OmHallelujaAmenLove! Weddings – My dear on-the-other-side-of-the-world friends Kelsey got here Shaun, Ashlae and Thom are next and Fabian and I just celebrated our first year as a married couple. Oh boy, what a year. I still remember our Greenylicious wedding as if it was yesterday. ..and we really need to hang some of the amazing pictures that Sarah took. Garden abundance – Goes without saying.. Green Green Greenylicious! How about you? Are you getting your sprouting and microgreens growing on? No need for a full blown veggie garden to harvest your own greens, baby! Cold beverages craze – Give me chilled drinks of all sorts (although nothing get’s me off my warm herbal teas). 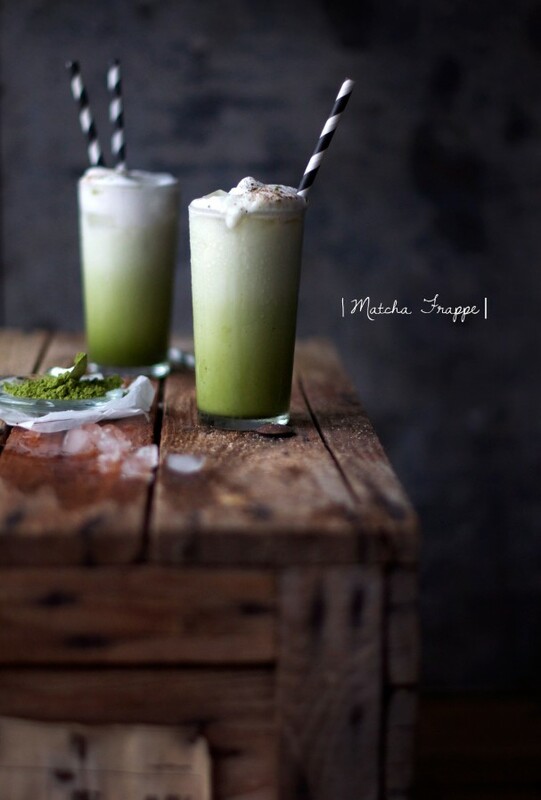 See below for the recipe of my most recent crush, the Matcha Frappe. I don’t really know how my first meeting with Matcha tasted. Why? Well, It was this picture of a Matcha infused cake over at Golubka Kitchen. It was pale green, gorgeous and I was in love. I wanted to play with it asap but it was slightly difficult to get a hold of high quality Matcha powder here in Sweden. This search ended up taking 1 year (yes, I know I could have ordered it..). We don’t have Starbucks at every corner with over the top (and very non-vegan) Matcha Frappuchinos and there isn’t an abundance of hip and innovative tea and coffee shops unless you live in Stockholm. So if you live in the middle of nowhere and long for matcha lattes, you get yourself some matcha powder, make yourself some plant milk (or buy) and get creating! 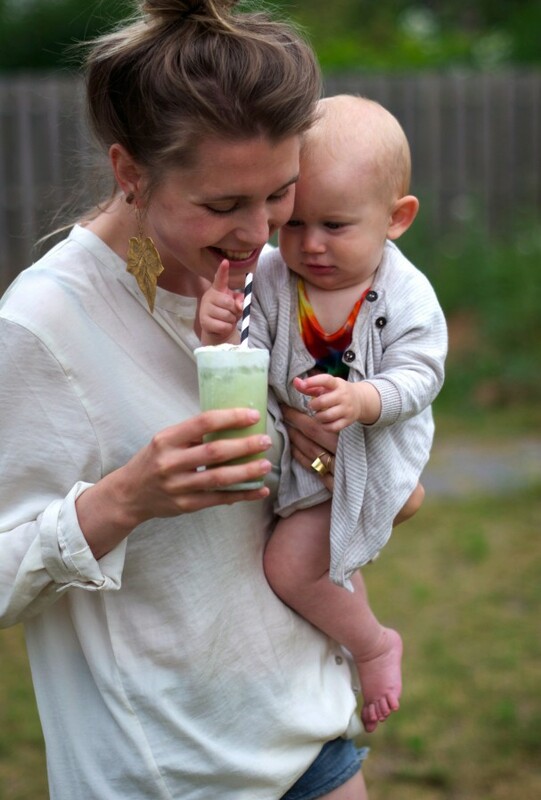 But what’s this Matcha madness all about really? First let me just say that the process of making Matcha tea powder is the most impressive and awe-inspiring things I’ve read about in a long time. 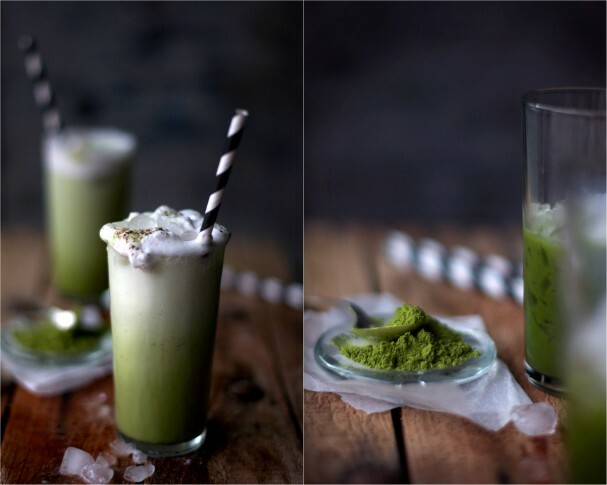 The tradition, care and love that is put into making Matcha green tea powder is just. Wow. The powder is made from only the finest tea buds of shade grown green tea bushes. Before harvest the bushes are completely covered and protected from direct sunlight to slow down growth and increases the chlorophyll levels (the leaves will turn a darker shade of green). The leaves are then flat dried, de-veined, de-stemmed and stone ground into a powder. Powdered green tea ceremonies date back to the Tang Dynasty in China and has since then spread world wide. Matcha tea is quite impressive nutrition-wise. Only by looking at the color you’ll notice the uber-high levels of detoxing chlorophyll. The concentration of cell protecting antioxidants in Matcha powder has been found to be 137 times higher then that of regular steeped green tea. In one study, one antioxidant in specific stood out by it’s ability to regulate hormones such as Leptin. Leptin is the primary hormone telling your brain that you are satisfied and full. Meaning green Matcha tea will help your body find it’s home weight. 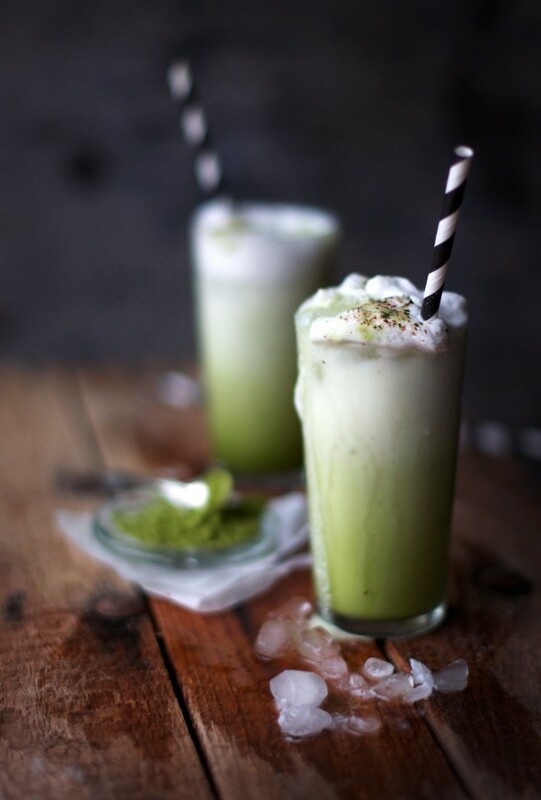 Let me introduce an iced green tea latte on steroids; The Matcha Frappe! This creamy, ice cold drink has got all components needed for a perfect summer drink. It’s creamy, it’s cooling, it gives a boost in energy and packs a whole lot of good-for-you gifts. Either you blend all ingredients for a smooth green drink or you make a layered creation. Need I say which one I prefer? So crush some ice, get ready for a green moustache and say cheers! 1. Add all ingredients listed above except the ice cubes to a blender and blend until completely smooth without any matcha lumps. Using an immersion blender works great too. 1 cup coconut milk, (or other but coconut milk makes it creamy and fabulous). 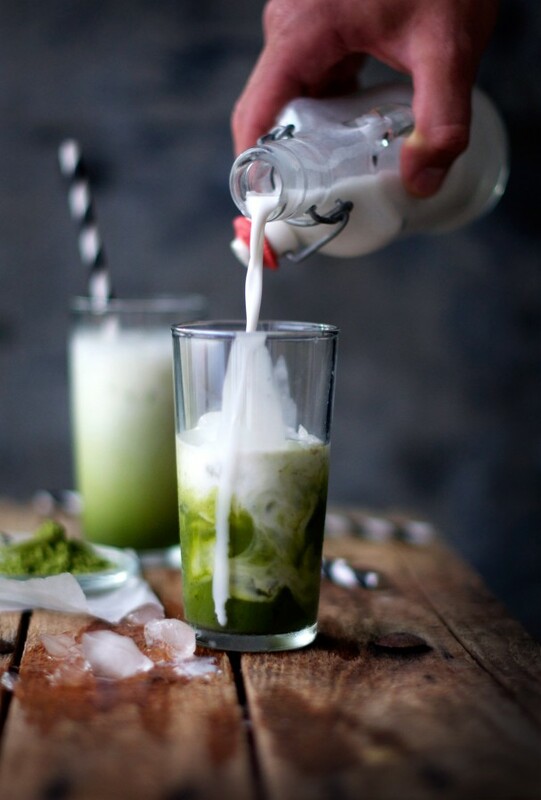 Divide the green milk in the two glasses, add the slightly crushed ice, pour over the coconut milk and sprinkle some additional matcha powder and freshly grated nutmeg to make it extra pretty! With all the slightly crazy love I have in my soul for you: Happy Summer!